Can I provide alcohol to an underage drinker at my home? What about at a place outside my home (hotel)? What happens if the person gets intoxicated and hurts another? Can I get in trouble? If you knowingly host a gathering at a residence where minors are consuming alcohol or rent a hotel room for underage drinkers to consume alcohol, you can be charged with a Class A misdemeanor. A Class A misdemeanor is punishable at minimum by a fine of $500 and at maximum one year in prison. If the intoxicated minors leave the premises and an alcohol-related fatality occurs, you can be charged with a Class 4 felony. A Class 4 felony is punishable by a $25,000 fine and up to three years in prison. If you are charged with a Class A misdemeanor or a Class 4 felony, contact the attorneys at John W. Callahan immediately. 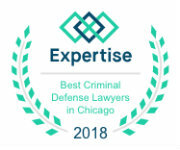 These kinds of charges can have serious consequences on your life and you will want a defense attorney who is both knowledgeable and willing to fight hard to defend you. Even if the state has overwhelming evidence against you, we may be able to negotiate a more favorable plea agreement than you could on your own. 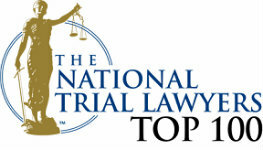 Contact John W. Callahan, Ltd. for representation.